13 inch Eye To Eye...Measure your stock shock, most 150cc scooters with 12-13 inch wheels will use a 13 inch shock. High Quality NCY rear shocks. Sold in pairs. Improves the ride and handling of your scooter. 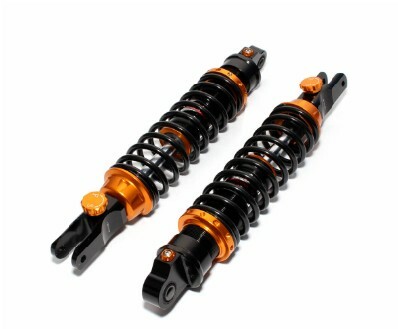 Beautifully machined, fully adjustable pair of rear shocks from NCY.